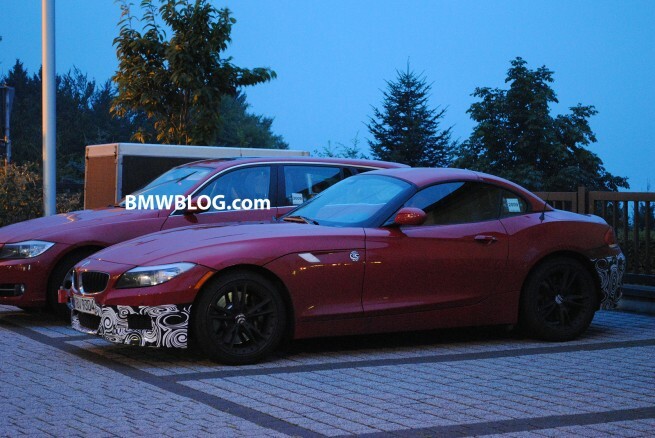 We’re breaking away for a little bit from the Frankfurt Auto Show coverage to bring the first spy photos of the new BMW Z4 featuring the M Sport Package we’ve been hearing for months. BMW has decided not to design an M version of the new roadster, but those BMW fans looking for more a more sportier version of the Z4, will have to settle for the M Sport Package. The M Sport Package will include the typical exterior and interior upgrades. On the outside, the already aggressive look will be enhanced with the addition of M front and rear-end bumpers. We expect to see an exclusive choice of wheels and new exterior colors. Inside, the M Sport Package should bring the usual M branded steering wheel, footrest, shifter and the carbon fiber trim we’ve seen on other models as well. It is unclear if BMW will offer any performance upgrades, but we already know that the 3.0 liter twin-turbo engine is capable of producing more power. We expect the Z4 M Sport Package to be available next year as an option for the 2011 models.